But then there reaches a point in the game, where you find yourself hoarding a lot of skills points and faced with a multitude of options. Suddenly, its no longer simple. Unless you have a very clear idea about how you intend to develop your build, it becomes a very confusing prospect. Do you put points into flower arranging, so you can increase you Lupin attack, or do you go for heavy embroidery? The fear is that you’ll make the wrong choice and gimp yourself, further down the line. Now most MMOs have a system in which you can refund skill points, should you require to change your allocation. However, this often involves a significant expenditure of in-game currency or worse still, a purchase from the cash shop. As a result, this potentially punitive system will often dissuade players from experimenting. This was certainly the case with me recently, while I was levelling through ESO. I also had a similar experience in STO when the revised the skill tree system was introduced. The only MMO that I currently play that allows a greater degree of choice is LOTRO. 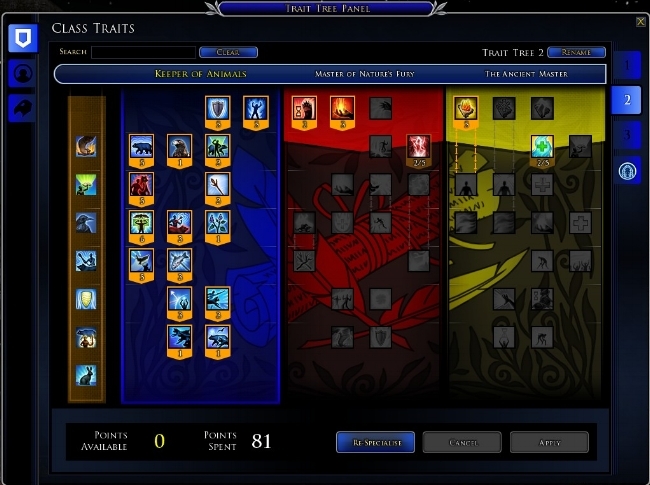 By default, the game offers three skill point slots, allowing you to create bespoke builds to swap between. Now, the easiest resolution to this dilemma is to find a specific build online and to slavishly copy it. I have done this myself both with STO and ESO, but I resent it on some level. Yes, it is quick and easy solution, but it is also robbing the player of the opportunity to learn and experiment in the game. And buying gating the ability to reset your skill points behind some sort of financial penalty, the developers are contributing to creating a culture of risk aversion among players. Don’t get me wrong, I’m not advocating turning an MMO into a job and I am not a fan of having to watch hours of videos to discover the esoteric intricacies of a game (yes, I’m looking at you ESO). However, it is beneficial to allow the player to experiment within reason, without imposing a penalty for the luxury of change. Hence, I believe that the LOTRO option of having three skill points slots is an equitable compromise. Choice is always a good thing but there’s also a wise old adage about having “too much of a good thing”. Games such as MMOs need to encourage the player to try different builds and embrace experimentation. However, I appreciate that this is a fine line to tread. If you offer too much assistance, then it’s only a matter of time before the usual suspects throw their toys out of the pram, claim that everything is being dumbed down and that their life has once again “been ruined”. I think that this “dilemma” as I’ve described, is just a symptom of a wider problem associated with the MMO genre. That of providing optional information, advice and suggestions to the player, so they can get the most out of the game. Few games have adequate tutorials and “tip” systems. However, that is another blog post altogether (insert Airplane gag here). 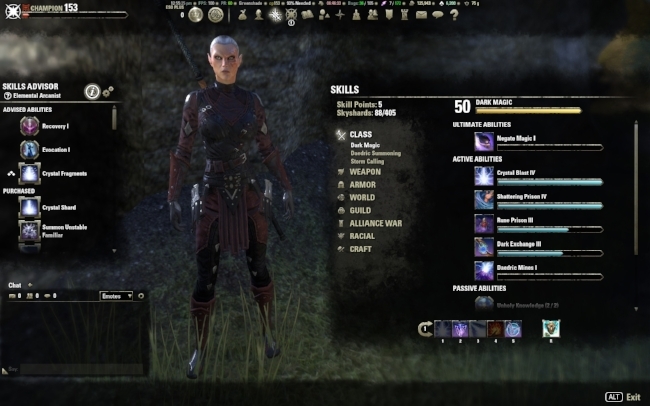 Returning to ESO, I must applaud ZeniMax for including their Skills Advisor system in the last patch. It provides exactly the sort of broad guidance I was looking for. Other MMOs please take note.